How to resolve base paths of your included files when using Htaccess mod rewrite rules for generating SEO friendly URL? Search Engine Friendly URLs are purely structural URLs that do not contain a query string and instead contain only the path of the resource. This is done by using mod_rewrite rule in htaccess file. 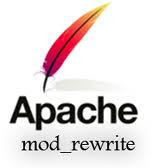 Apaches mod_rewrite rule is a really sophisticated module which provides a powerful way to do URL manipulations. With it you can do nearly all types of URL manipulations you ever dreamed about. then there is a chance like, you will see you web design break or your JS functions do not work. and this is the reason for your design break and JS scrpt failing. Add a BASE tag inside the head tag just before calling all the including files. The <base> tag specifies the base URL/target for all relative URLs in a document. The <base> tag goes inside the <head> element.